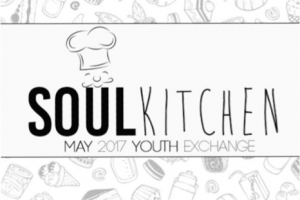 “Soul Kitchen” is a project developed by youth organizations, which work together with young people with fewer opportunities, in five different European countries: Spain, Poland, Italy, Estonia and France. The project has been thought after having found out those youngsters struggling to have a healthy life style, in alimentation in particular. Project promotors, got informed on young people food habits and from this analysis come out a big consume of prepared food and precooked, of fast food with mostly no youngsters to have this poor attention to their diet, depend by different factors: a frenetic lifestyle, no time management, habits, and a lack of awareness about the danger of this behavior in a long-term period in psycho-physic level. The problem originated because of a lack of occasions that youngsters have to learn how to cook healthy and traditional dishes in a stimulating and funny environment. Many young people, are unfit to cook or are not interested to know tasty alternatives, less harmful for their heath, coming also from other cultures. Rarely, youngsters have the possibility to experiment traditional dishes from European kitchen, European cultural heritage. Partners, aware of this situation, were thinking how to sensitize young generations to be more aware about what they eat and about the consequences of their health, to improve it through a stimulating approach that foster their active participation. “Soul kitchen” project came out from this exigence and was successful since the beginning among participants. They are 25 young people between 18 and 26 years old who risk social exclusion because of economic and social problems. Composition of the national groups is variegated: promotors have selected a part of participants that never cooked and a part that is studying to be chefs to foster solidarity and pair opportunities and learning. To all participants it would be interesting to develop transversal and professional competences, useful in life and in labor market. Moreover, it will be a way to develop intercultural dialogue among various involved traditions, thanks to the 6 expert group leaders’ support., who participates since the ideation of the and choice of agenda’s activities. The main phase of the project would be the realization of the youth exchange from 67th to 24th of May in Savigno, a little village 30 km far from Bologna (Italy). Activities are based on learning by doing approach through informal and non-formal methodology to transmit the fundamental values of the project: intercultural dialogue, heathy diet, active citizenship, participation, European awareness. A mix of laboratories, simulations, role games and outdoor activities. As lot of participants are a risk of social exclusion, is important to foster an active participation and develop transversal competencies like teamwork, public speaking, management, and professional as well. The exchange is self-managed (laboratories and logistical), that will make participant the main characters of this experience, where their role is important to the success of this, and recognize and valorize the contribution of each one. National groups, before to come in the exchange, will prepare thematic laboratories on culinary and general traditions, of their original country, to share during the dedicated moment in agenda. This is an occasion to know better other countries plurality and accept diversity. Culinary activities are a medium of intercultural dialogue and healthy lifestyle investigation. Further, participants will acquire in uneven contexts and linguistic and logistical abilities. Finally, promotors will have occasion to exchange competencies, capacities and knowledge in social education, benefitting from various perspectives and experiences to a local, national and international level of each of them.